Firefighters were at Midway Airport Wednesday morning after a boiler exploded in the basement of a Southwest Airlines building. 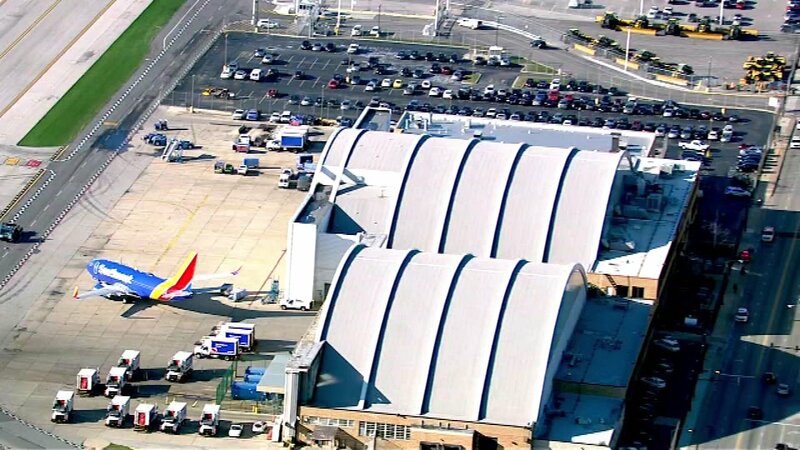 CHICAGO (WLS) -- Firefighters were at Midway Airport Wednesday morning after a boiler malfunction in the basement of a Southwest Airlines building. At around 9:15 a.m., a boiler malfunctioned in the building in the 5000-block of 55th Street, fire officials said. Maintenance crews were on the scene and shut the boiler down. The incident did not affect any of Southwest Airlines' operations at Midway or anywhere else. "We are working with local authorities regarding a malfunction in what we understand initially is a boiler that provides heat to a building that houses a number of support functions for Southwest. Our People are safe and we are awaiting further direction from fire department. The support functions that power our operation on this busy day and all others also are handled at other locations around the country and so while our Employees were out of the space during inspections, etc., there were no effects to our operation at Midway or elsewhere in the country. We're thankful for the quick response and always reliable help from Chicago's finest and again are grateful to report all our Employees are safe on this cold day in Chicago."